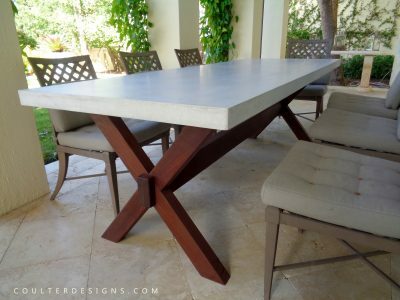 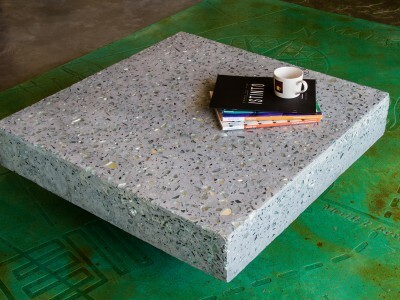 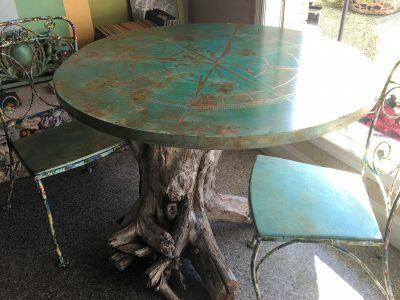 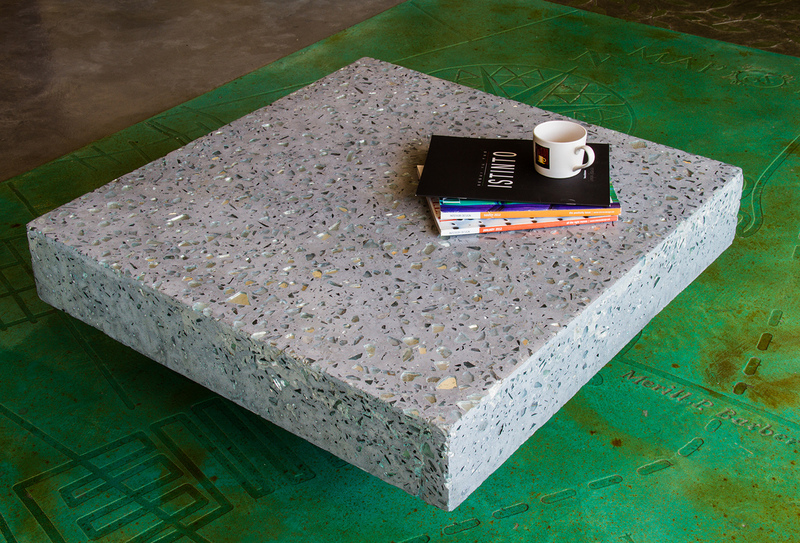 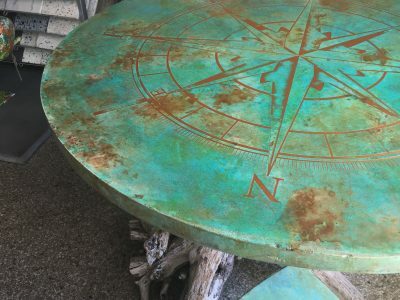 From coffee and cocktail tables, to a dining room table that seats the entire family, the design possibilities for concrete tables are endless. 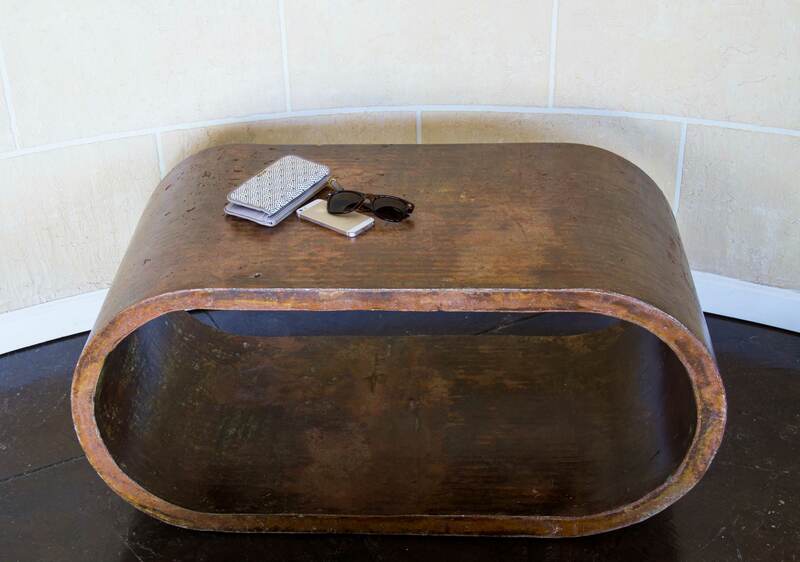 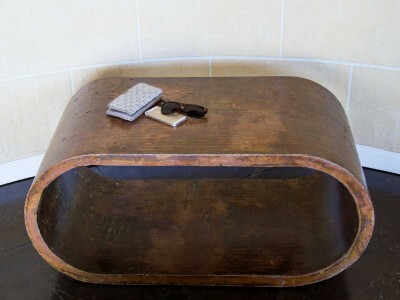 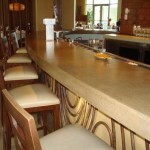 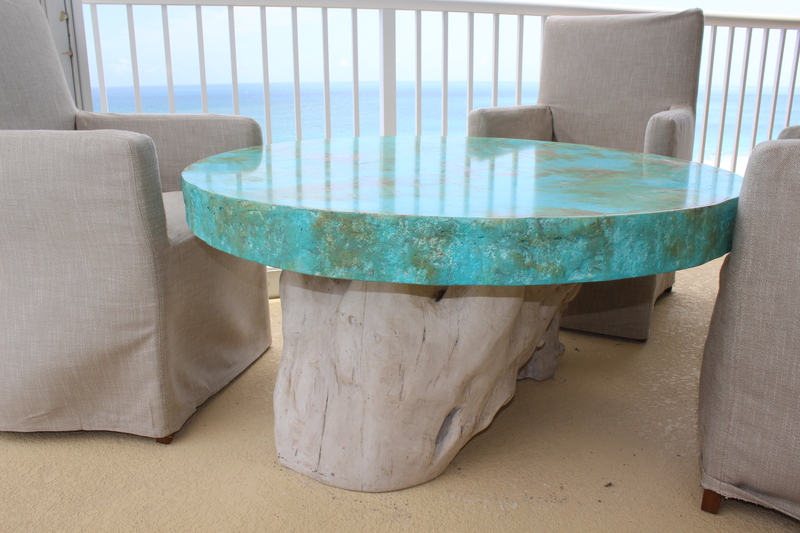 At Coulter Designs, we look to craft furniture that is both functional and artistic. 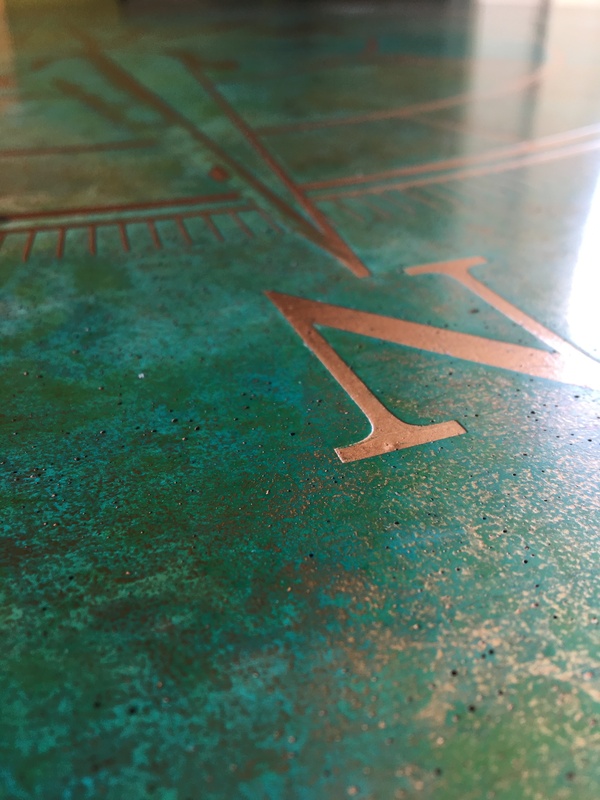 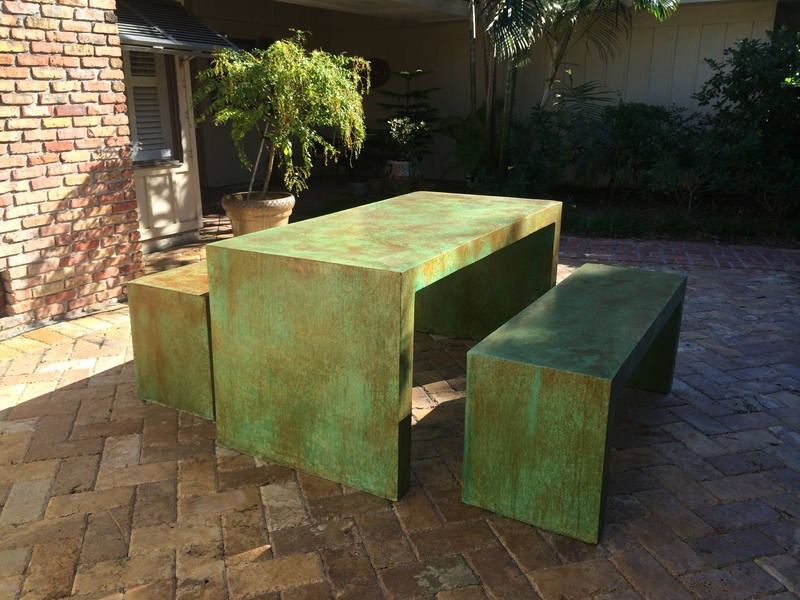 Our Coastal Table is a perfect example of the industrial and artistic character that Coulter Designs demands of each of its projects. 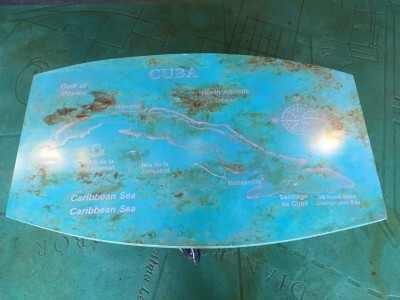 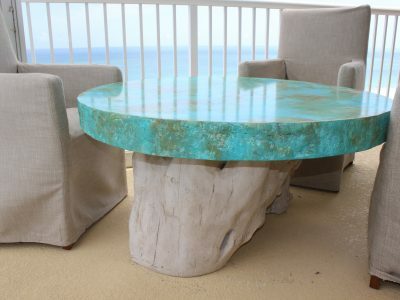 As if sliced from a boulder, the slab of this exclusive piece has been strategically stained to honor the beautiful oceanic bodies of the Florida coastline. Outlined in English Red, the state and surrounding territories have a subtle, but vibrant, appeal on the finished surface. 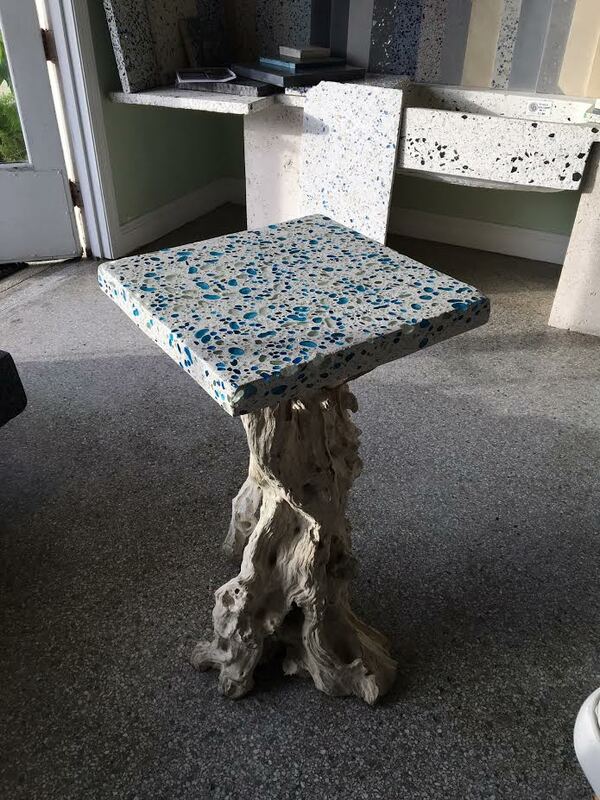 The base, a natural driftwood reclaimed from the same blue waters the map illustrates, provides an organic complement to this concrete slab. 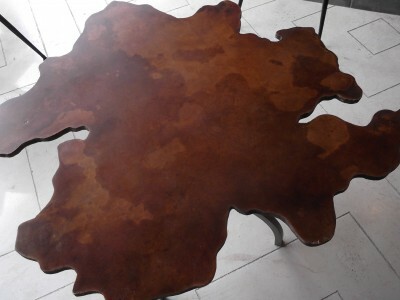 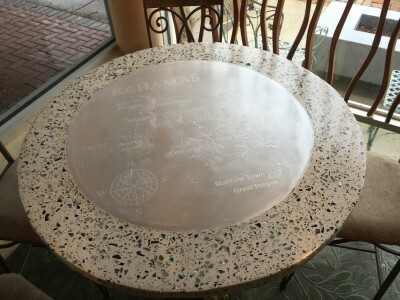 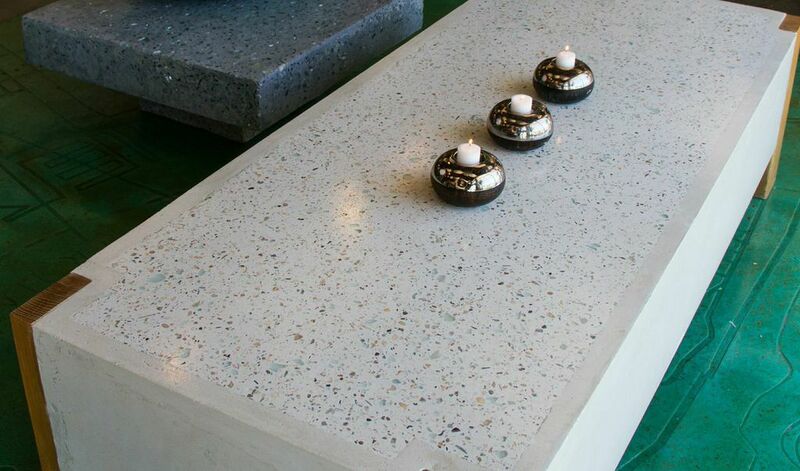 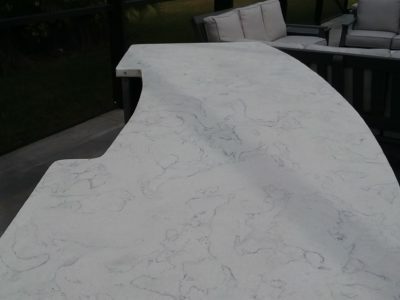 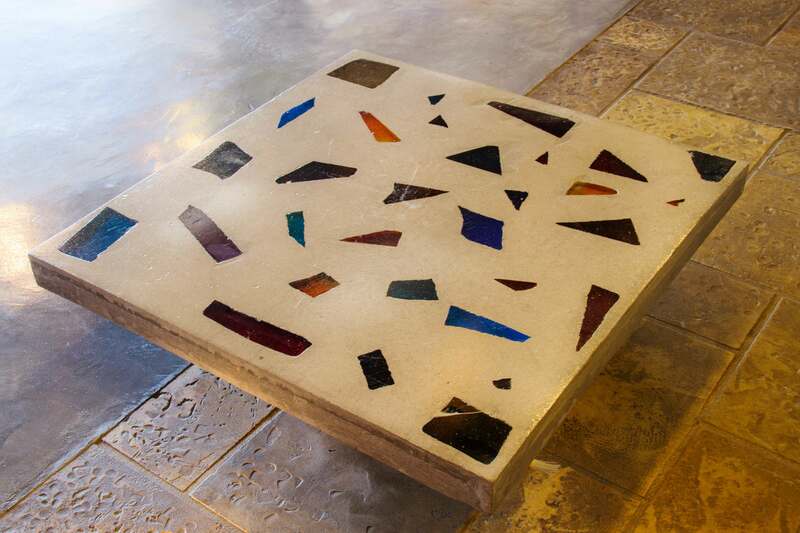 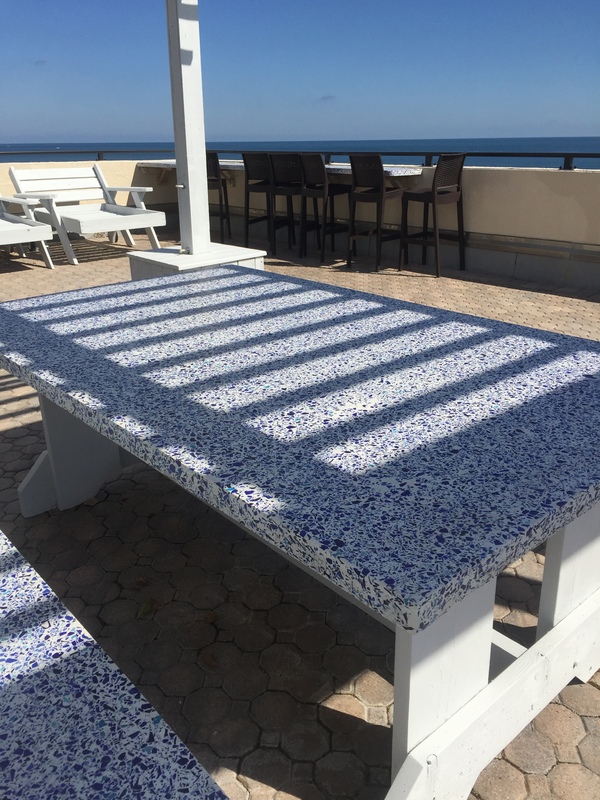 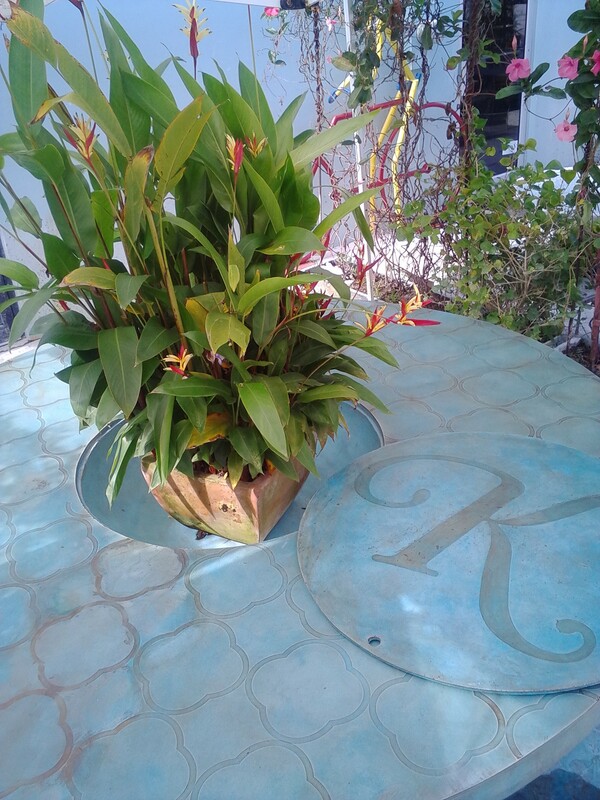 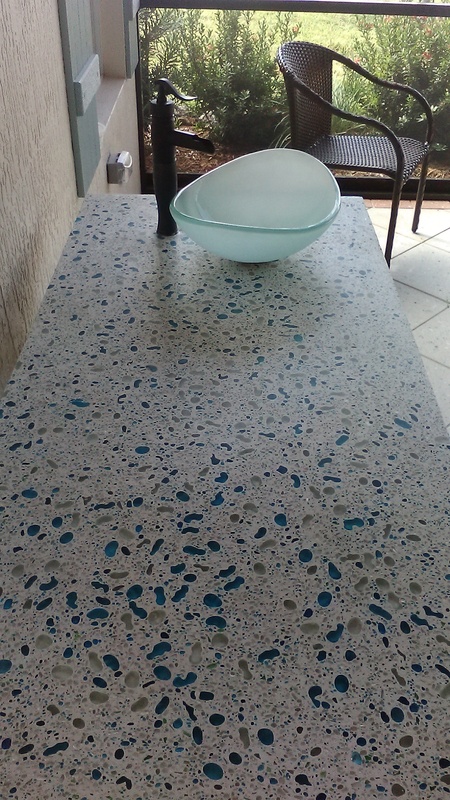 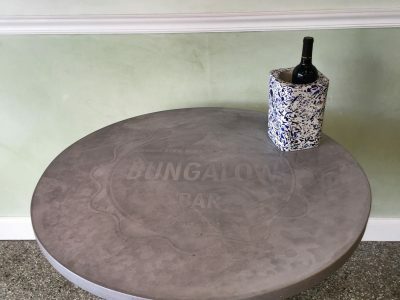 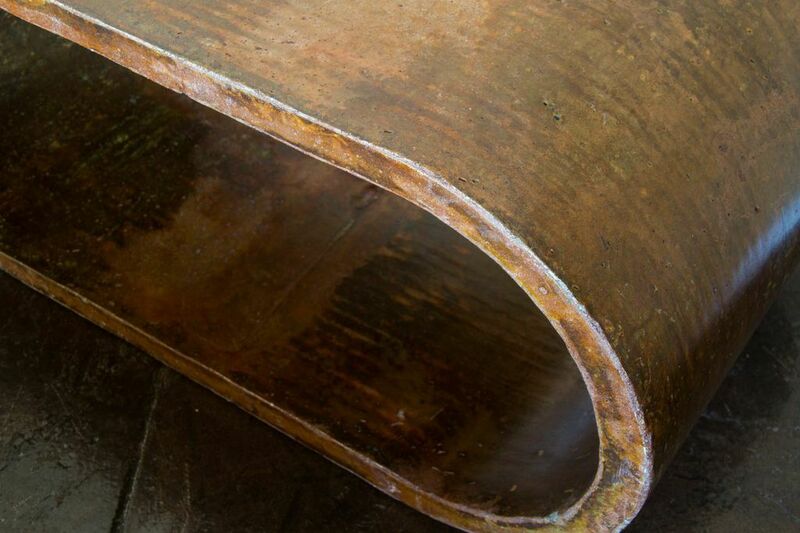 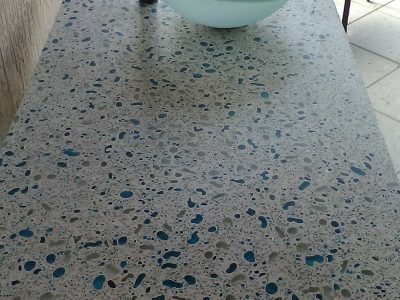 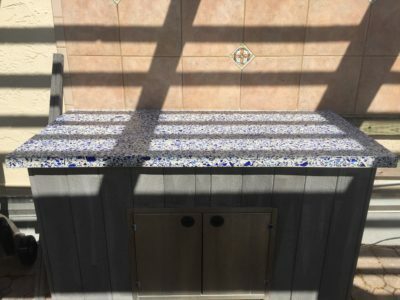 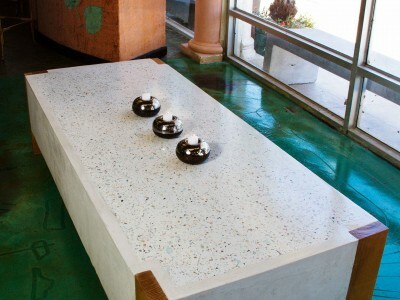 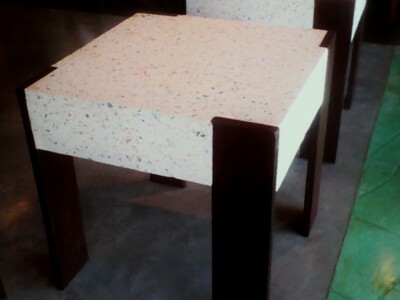 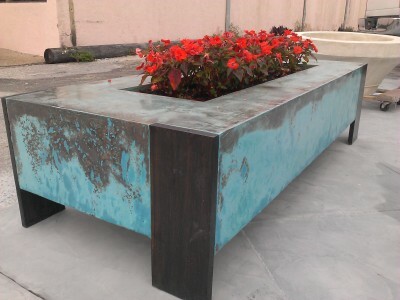 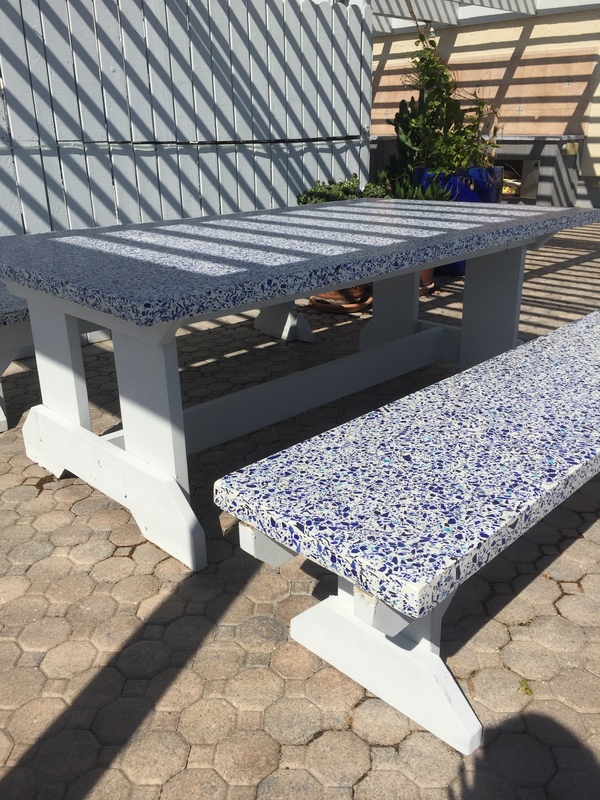 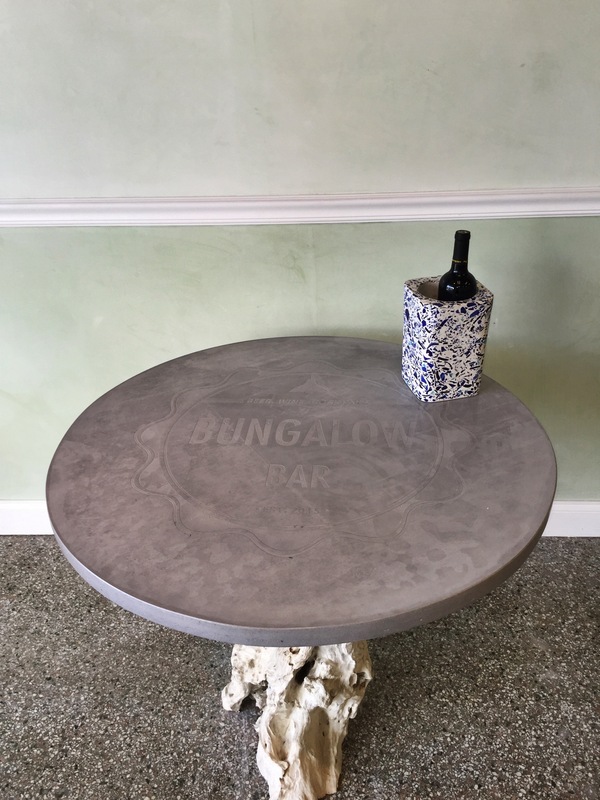 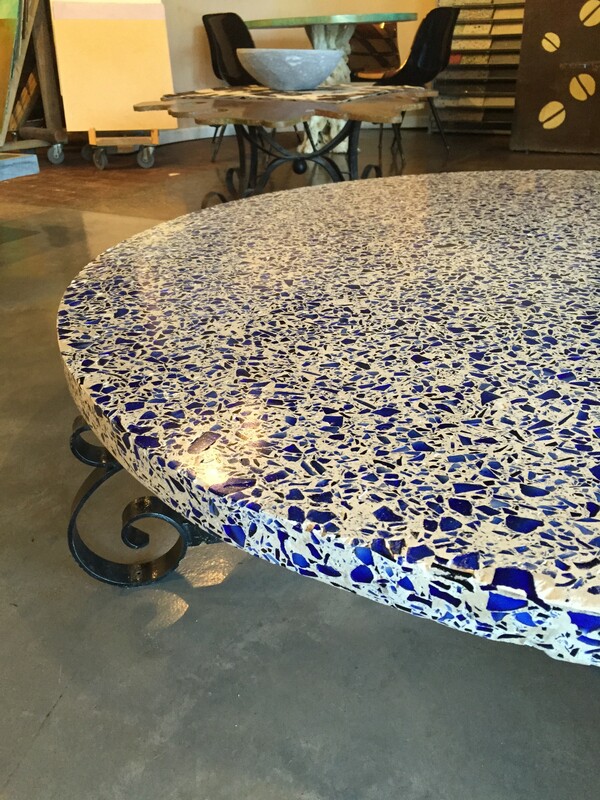 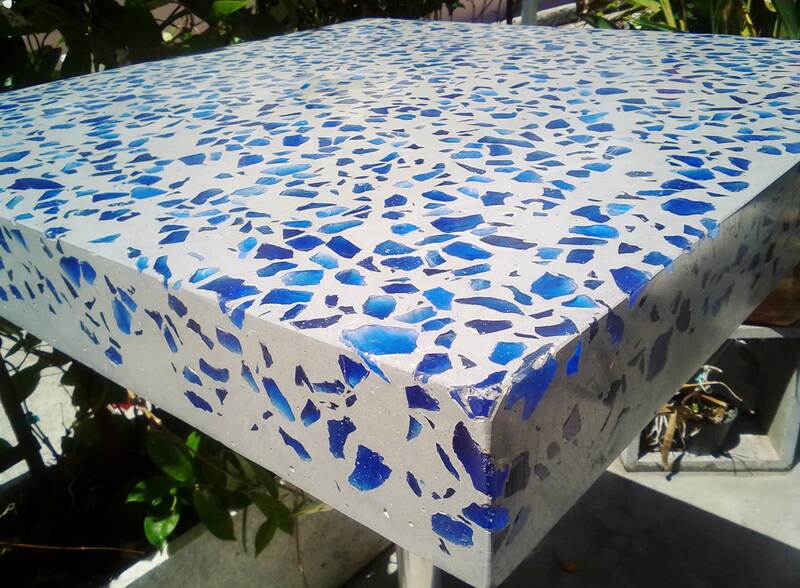 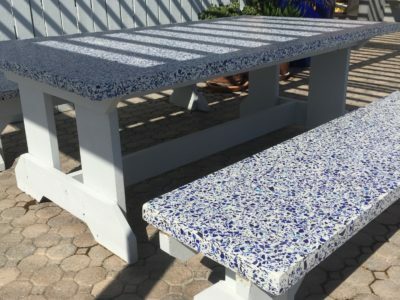 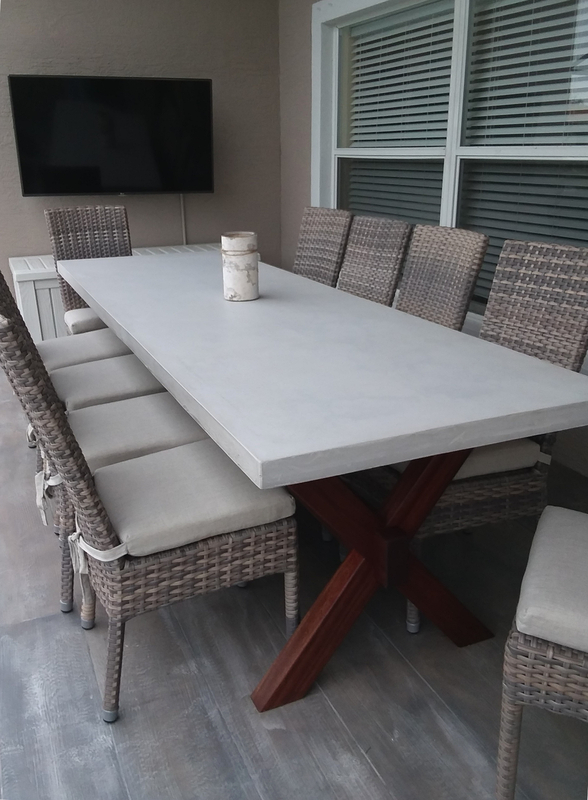 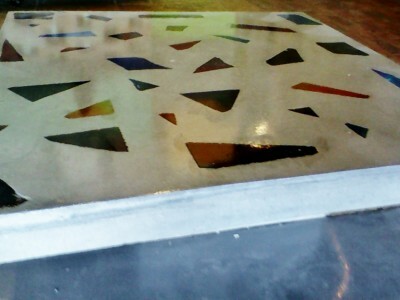 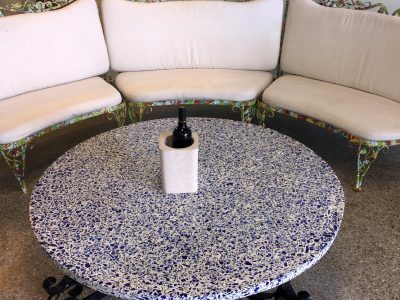 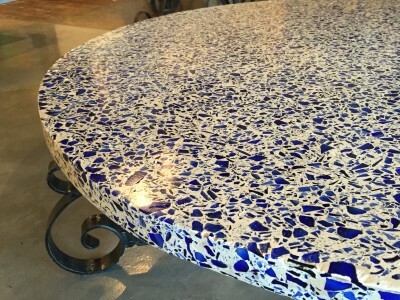 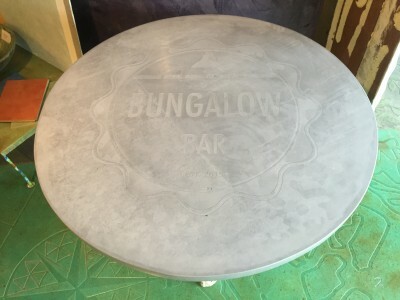 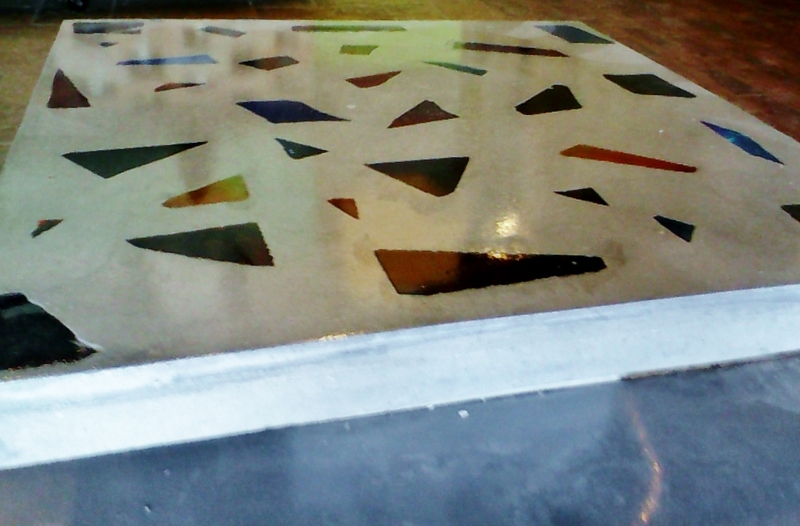 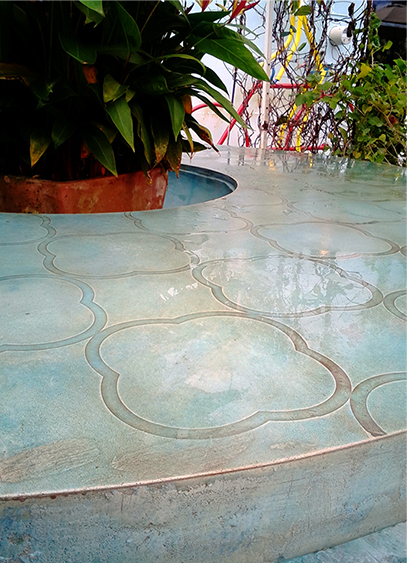 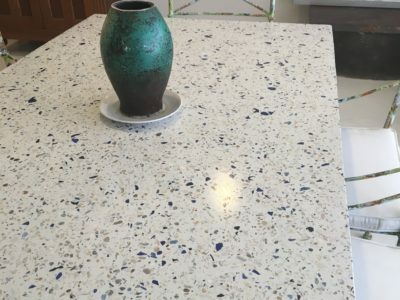 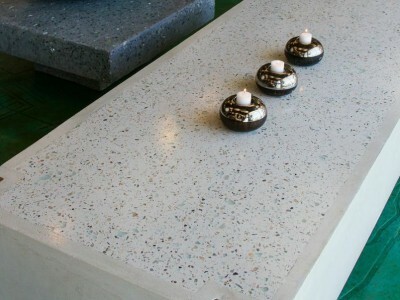 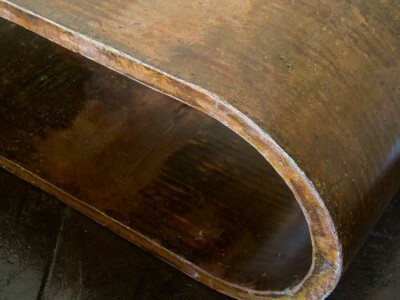 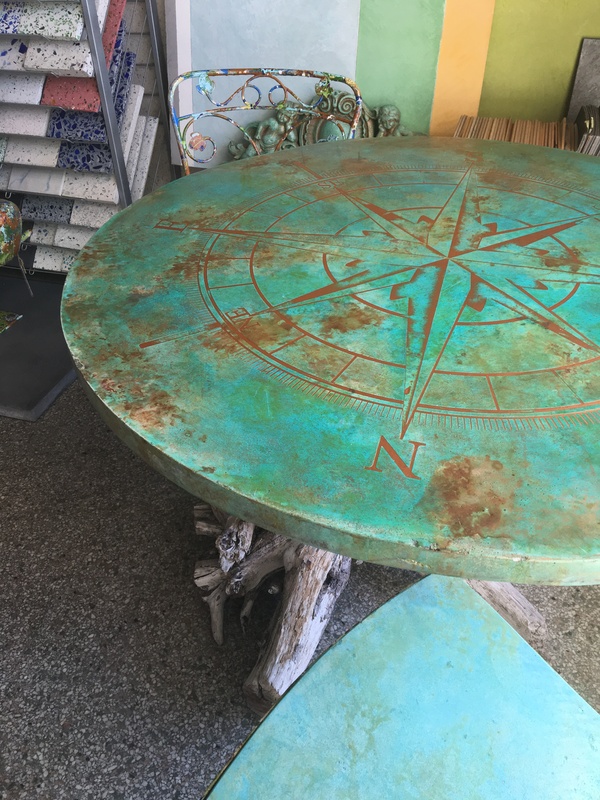 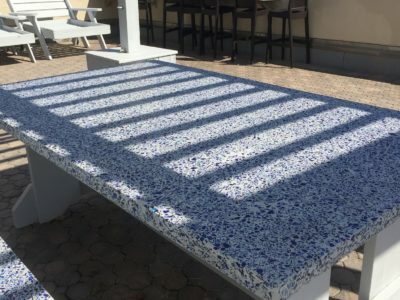 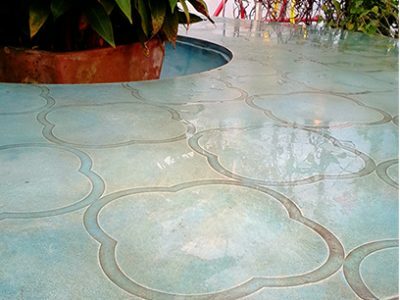 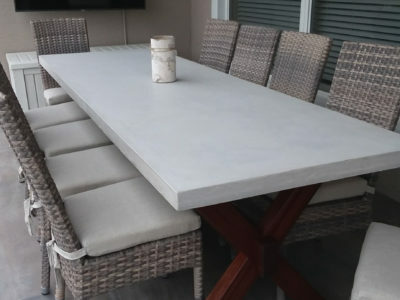 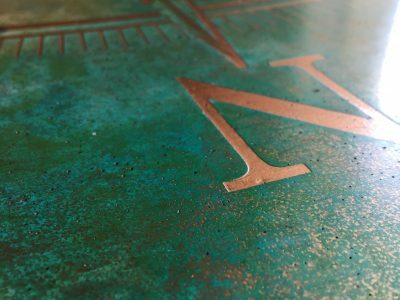 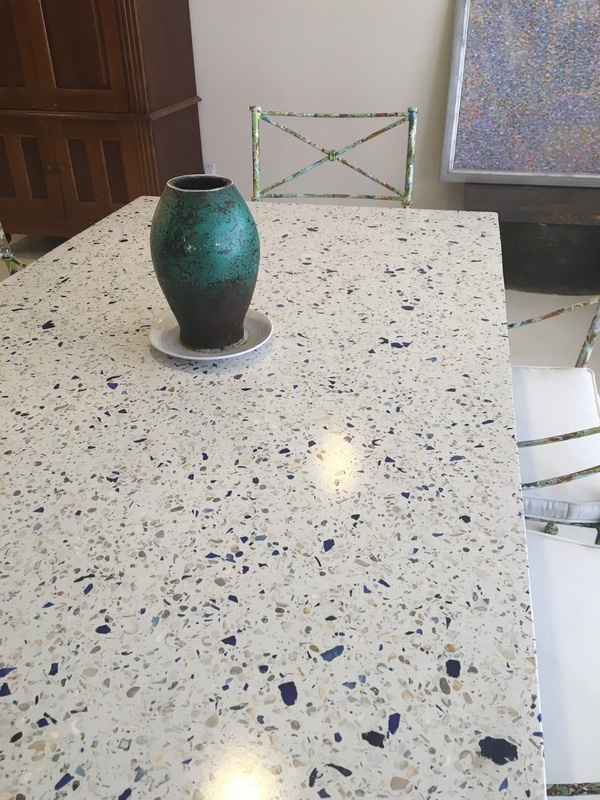 Let us customize the shape, size, and thickness of the top, surface, and base of a custom-made concrete table to meet your exact specifications. 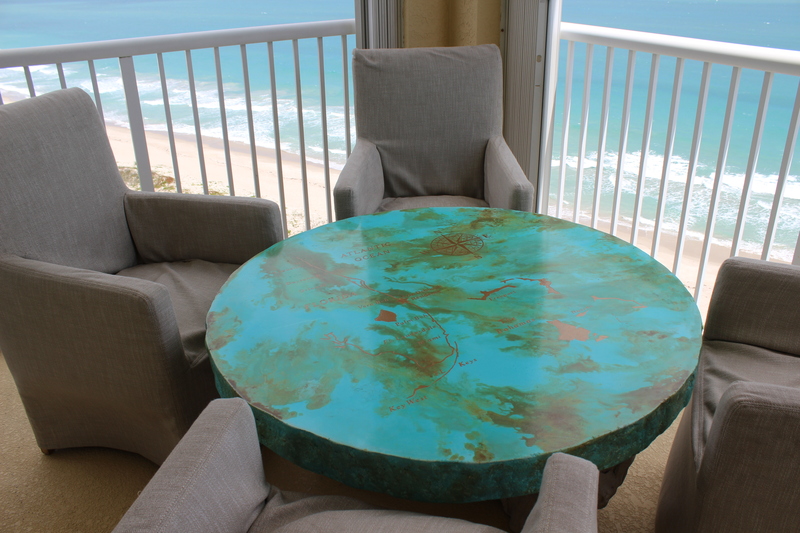 Coulter Designs can create game tables, bars, and add features like Lazy Susans and drink coolers to your one-of-a-kind furniture pieces. 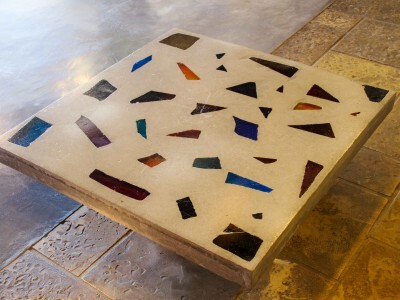 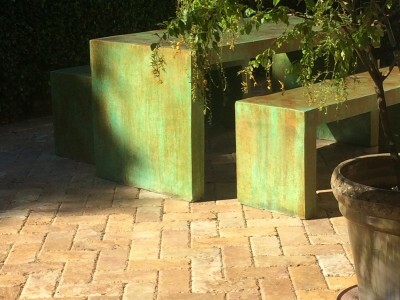 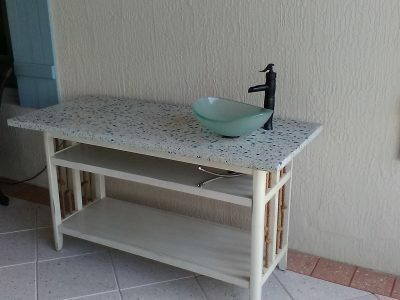 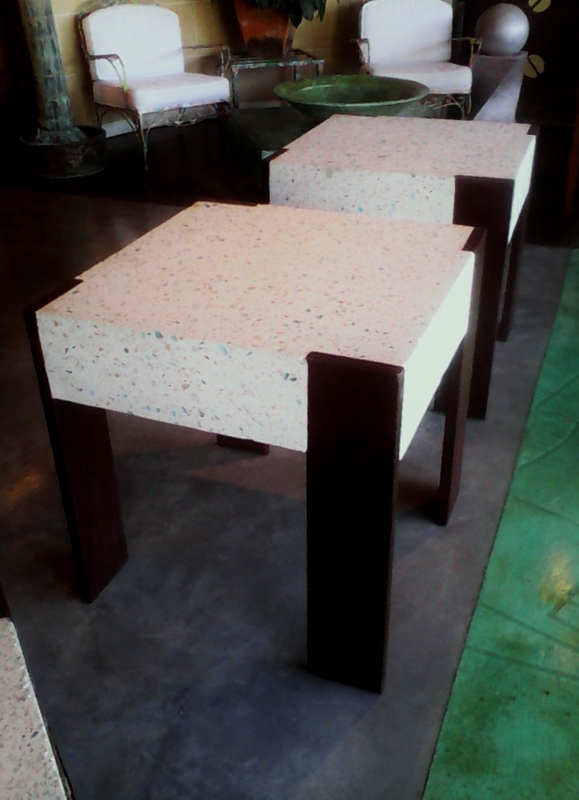 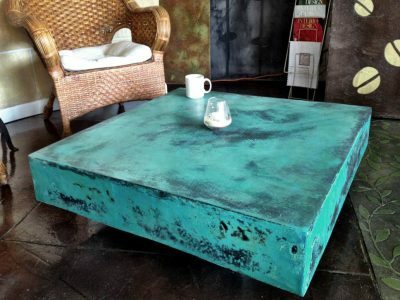 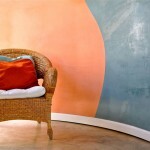 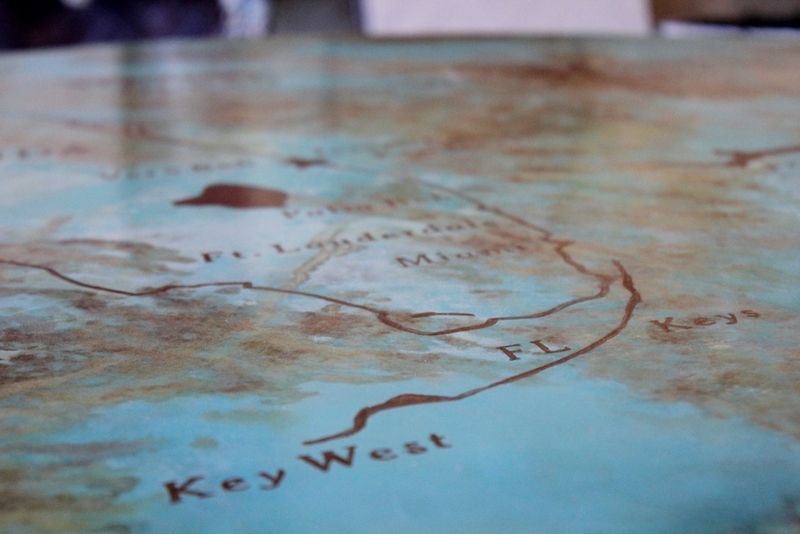 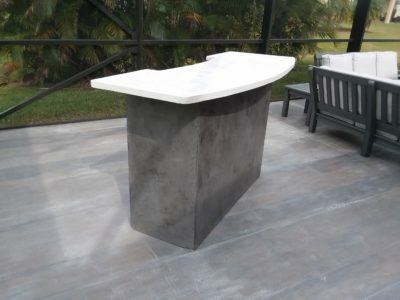 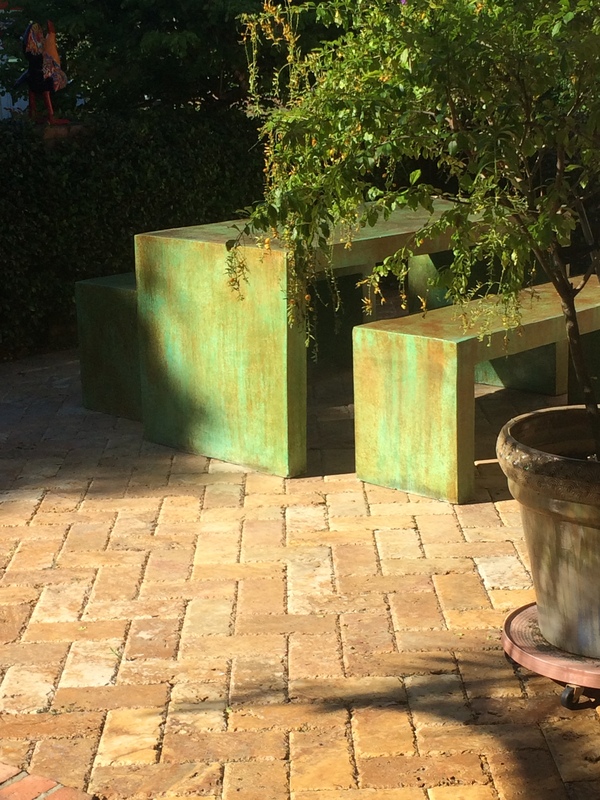 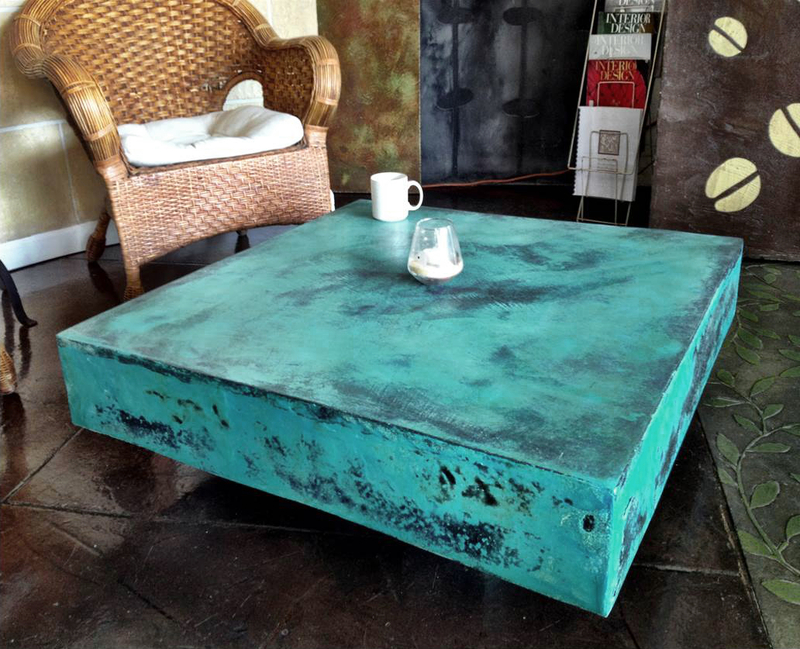 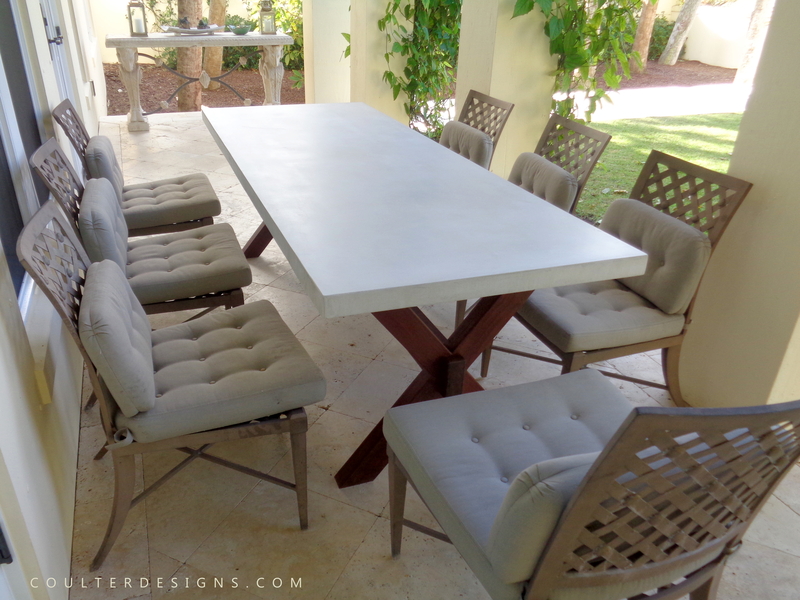 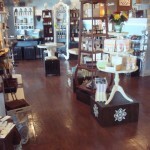 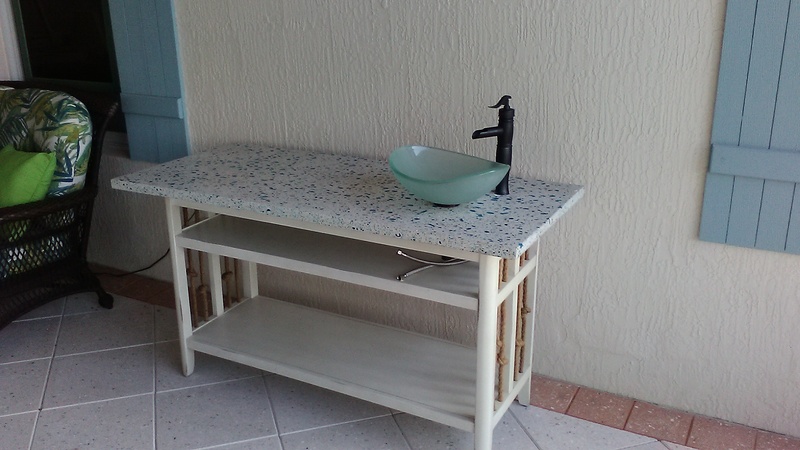 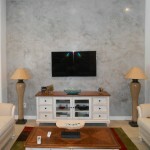 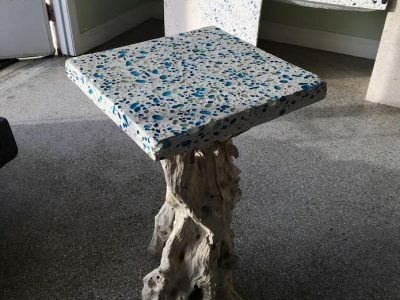 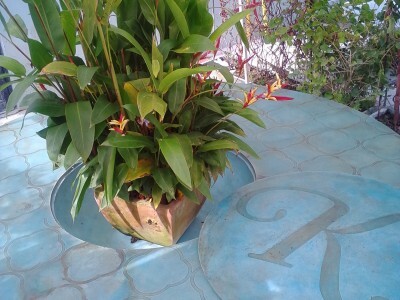 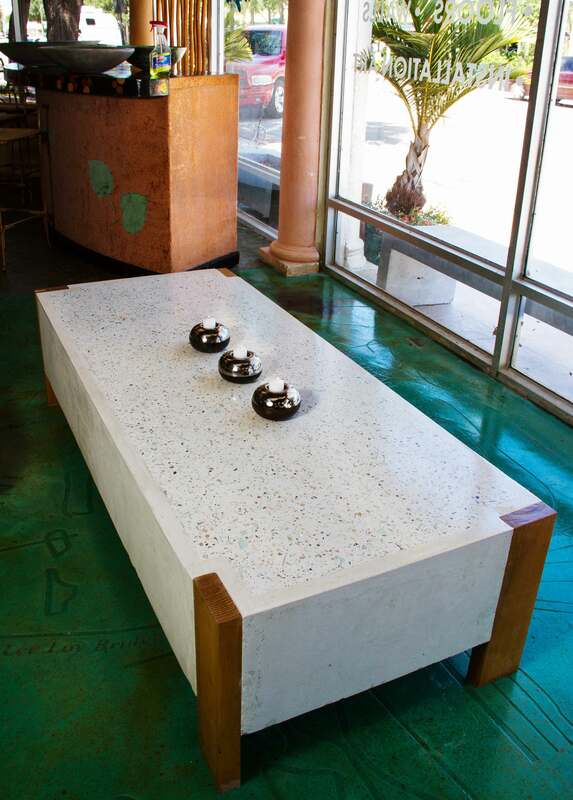 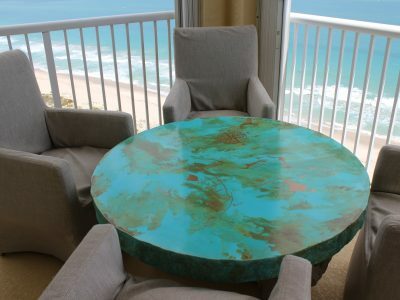 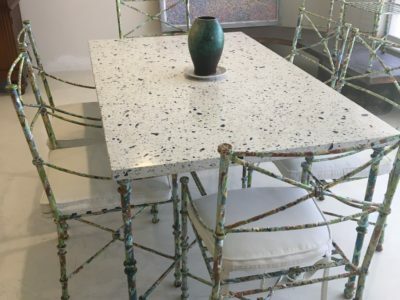 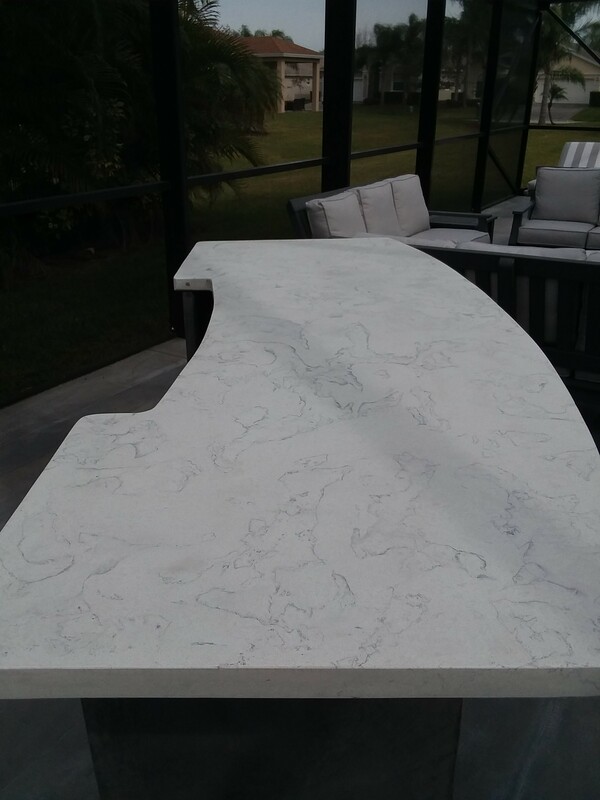 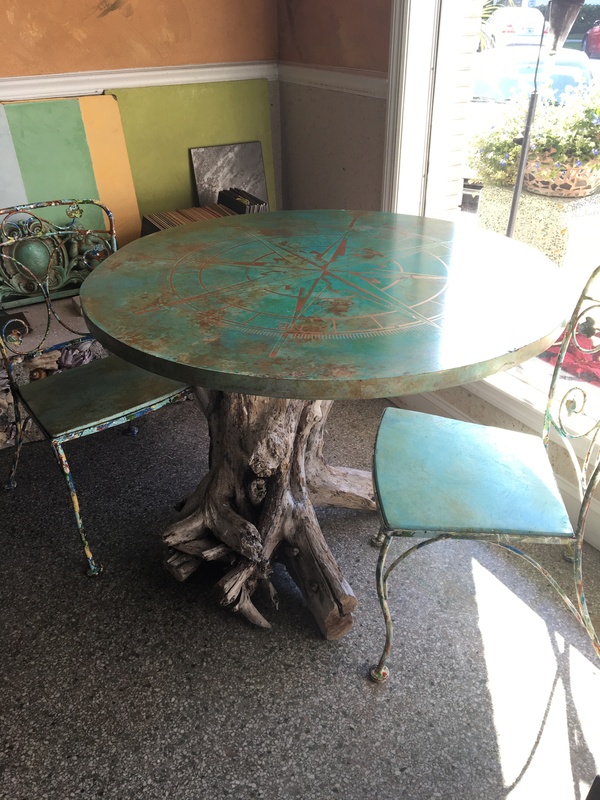 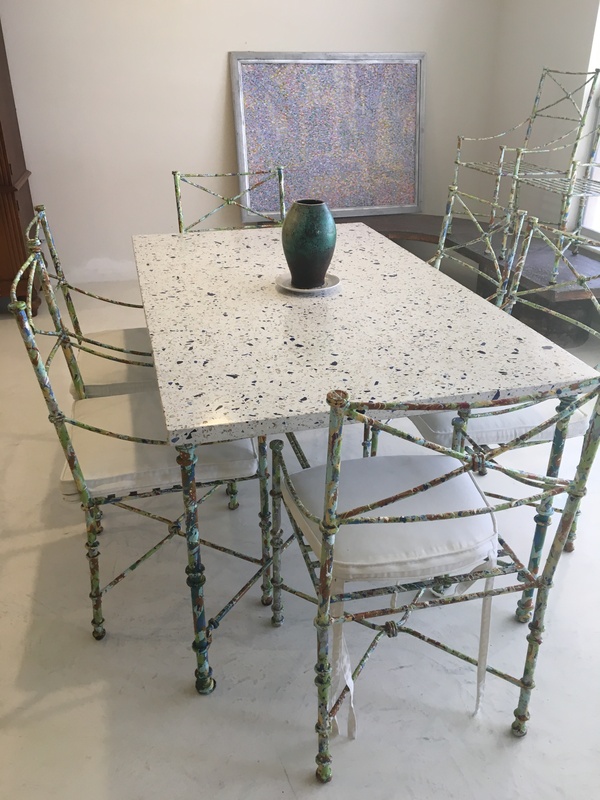 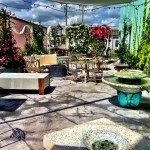 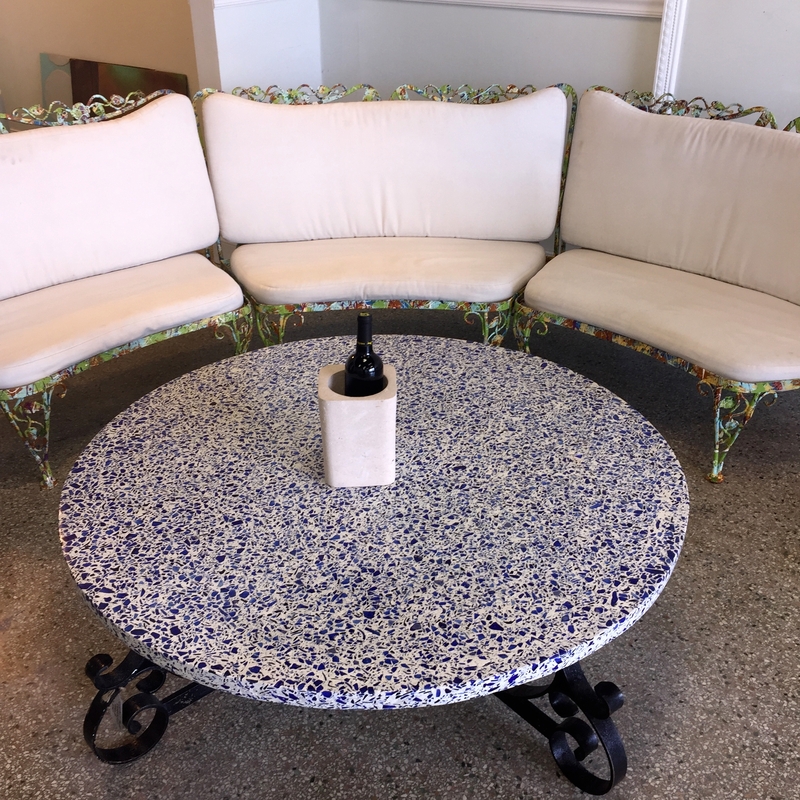 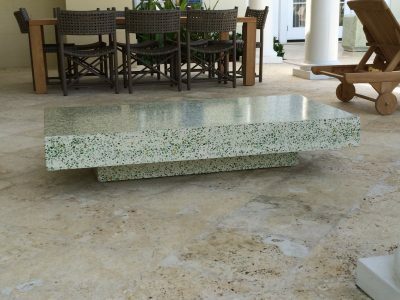 Please visit our design gallery located in Vero Beach to see our concrete furniture pieces!